Walkera AiBao: an AR quadcopter ready for mixed reality gaming. It has racing, battle, and gold modes. The Aibao drone has a max ascension speed of 5m/s. It can fly for up to 20 minutes. It has a 12MP camera to capture 4K video. Droiko: micro drones for racing and laser battles. 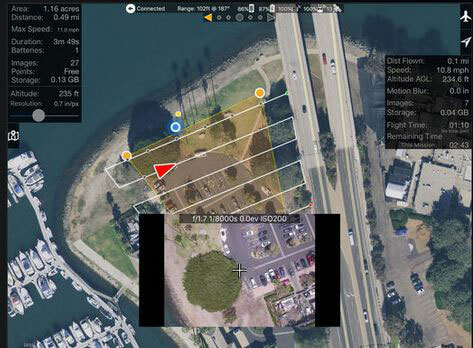 Users can create their own racing tracks. Droiko can fly indoors and outside. These drones have open source hardware and software. Rockee: a DIY battle quadcopter 720p HD camera, WiFi connectivity, and modular body. It comes with an infrared shooting system and 10,20,30 km/s speed settings. Parrot Mambo: a fun drone with a grabber and cannon that can pick up objects and fire balls. It has a lightweight design and can perform flips. Lumi: an app smart indoor drone for gaming. 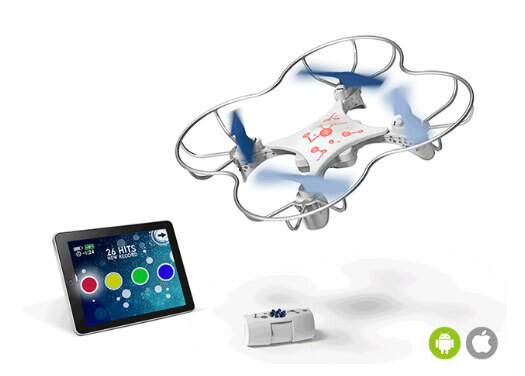 It has advanced flight controls and can follow you and avoid obstacles. Lumi can rise up/down, turn left/right, and accelerate. Propel Star Wars 74-Z Speeder Bike Drone: can reach speeds up to 35mph. You can combat against 12 Star Wars quadcopters at the same time. Lets you engage in laser battles. Walkera Vitus: a mixed reality foldable drone with GPS and 4K camera. In Battle Mode, you can combat against enemy planes. Vitus features sensors, pre-loaded games, and 25 minutes of battery life. Have you found cooler iPhone compatible battle drones? Please share them here.